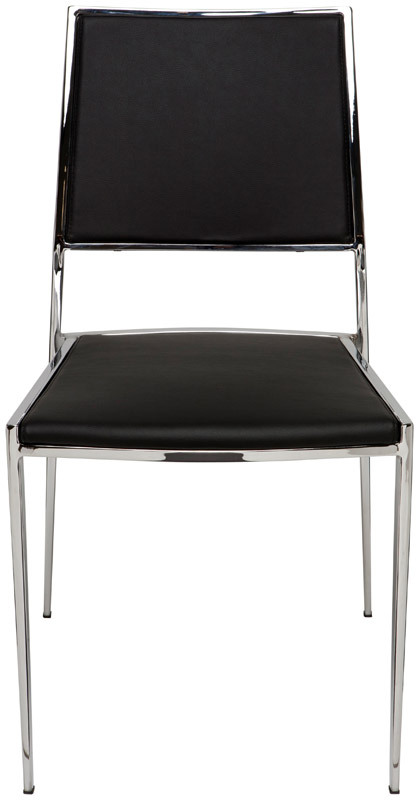 The commercial rated Aaron Modern Slim Steel Dining Chair features an angular and glimmering chromed steel frame which supports a comfortable seat fabricated with CFS foam and durable yet soft naugahyde upholstery. 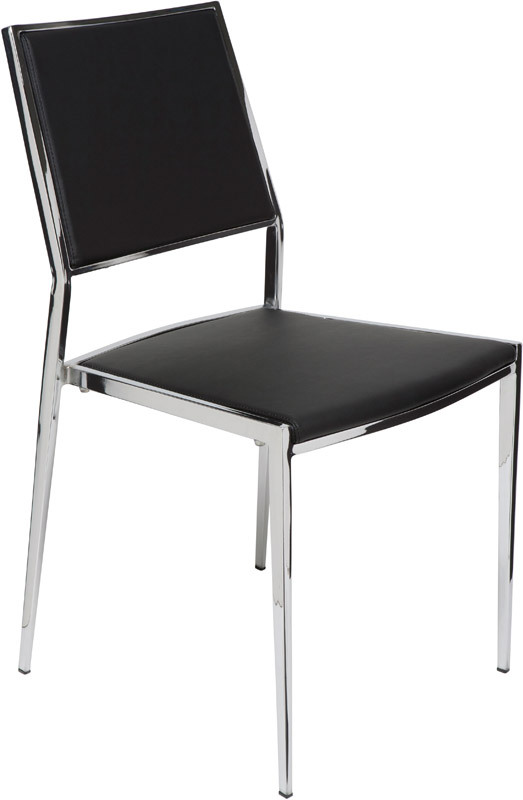 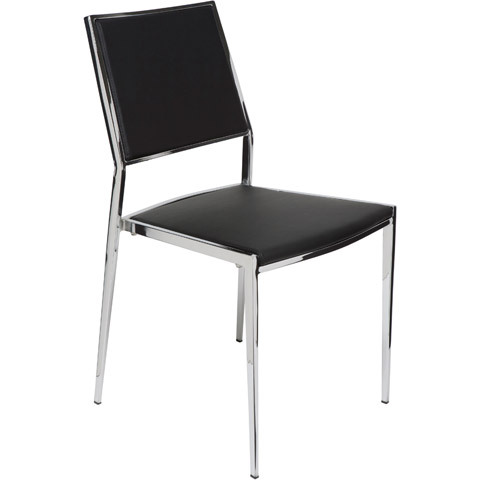 The Aaron Dining Chair is stackable and has a seat height of 18.5-inches. 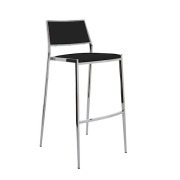 Coordinates nicely with matching barstool, counter stool, and adjustable stool. 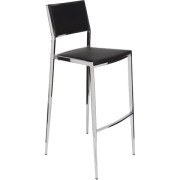 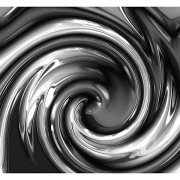 Perfect for the modern restaurant, bar or residence.